Well, it is that time again, when I pay attention to soccer (or football where the NFL isn't the dominant league), and I wonder why the vast majority of my countrymen couldn't careless. But no matter, I will be watching in glorious high-definition anyway. And I will be watching today's game between Good and Evil, I mean the US and England. Here's wishing the US National Team, godspeed and beat those limey !@$!s. It is starting to seem like most places in the Solar System might be host to their own native form of life, using whatever liquids might be available. And maybe pigs can really fly. Earlier this week, it was the possibility of life on Titan that was making news, with Cassini scientists trying to bring people's expectations back down to Earth, so to speak. Space.com ran a news story yesterday titled, "Jupiter's Volcanic Moon Io Could be Target for Life", suggesting the possibility that life in some form may exist on Io. This article is based on a paper published in the Journal of Cosmology by Dirk Schulze-Makuch of the University of Washington State titled, "Io: Is Life Possible Between Fire and Ice?". The Journal of Cosmology is a new publication started up last year, focusing on general physics and space science topics. They also provide open access to all their published papers, so unlike other papers I talk about here, this one is free for all of you to read by following the link. Well, let me briefly discuss what is presented in the paper before I go into any editorializing or critiquing. The paper examines Io as a potential abode for life, both currently and in the past, despite the obvious environmental roadblocks to the development of life. A primary focus is whether one of the known chemical components of Io's surface and shallow sub-surface, such as hydrogen sulfide, sulfur dioxide, or sulfuric acid, could be used as a solvent for an alternative form of life native to Io. 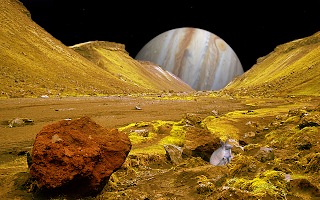 Schulze-Makuch also suggests that water may have been used as a solvent for microbial life early in Io's evolution when it may have been more Europa-like (active silicate core covered with a thin layer of water and water ice). Finally, he explores possible energy sources for life, such as geothermal heat or from Jupiter's magnetic field. The authors states that, "One possible microbial survival strategy in this type of environment would be that microorganisms remain in a dormant-type of state most of the time and are reverting back to a vegetative state only when heated by nutrient rich lava flows." 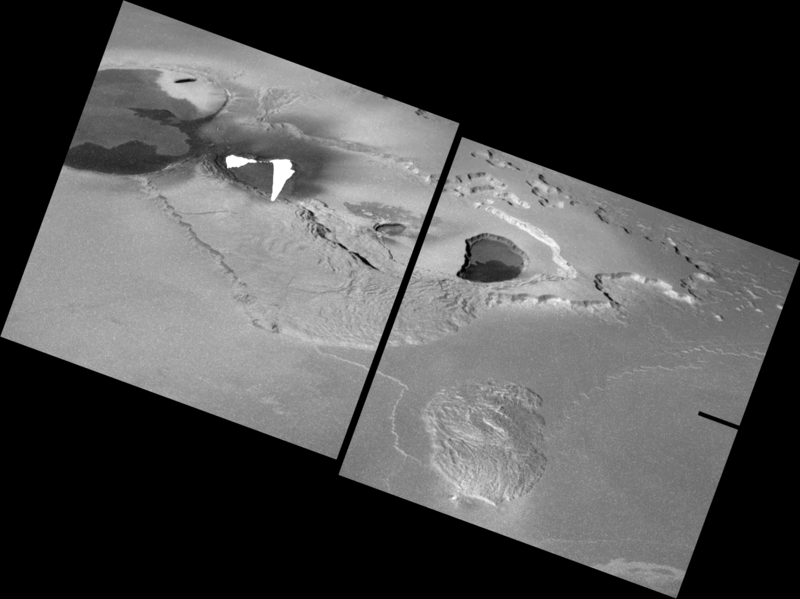 The authors notes that a potential habitat for life could be lava tubes in Io's sub-surface, similar to those suggested for Mars. Well, before I rip this article a new one, let me make it clear that the author does state in his conclusion that the likelihood of life on Io "has to be considered low". This sort of article I think was intended to explore whether the assumption that there is absolutely no chance for life on Io is valid. Schulze-Makuch describes some scenarios for how life on Io might have gotten started and what kind of form it might take. He even points out a number of critical issues, such as the lack of carbon on Io, with the exception of possibly some carbon dioxide in Io's volcanic plumes. However, the low residence time for carbon-based molecules in Io's atmosphere and surface thanks to the radiation environment may have something to do with it, but still, Io is not know for its carbon, unlike Callisto. Now it is no secret that I am not a big fan of astrobiology. In fact, I think that it is at best a mislabeled field of science and at worst it is pseudo-science, based more on speculation and grant-hunting than on reality. Even though it would be nice to add Io to the list of places to the possible abodes for life in the Solar System, the only reason at this point would simply so that we can shoehorn Io exploration into NASA's goal of studying Solar System habitability than actually advancing Io science. I just don't see where you can go to follow-up on it without looking blatantly self-serving. Besides, do advocates for Ionian exploration such as myself want to bother with the planetary protection policies that other targets have problems with. Yesterday at 20:31:29 UTC, astronomers Anthony Wesley and Christopher Go observed a bright flash within Jupiter's faded south equatorial belt. 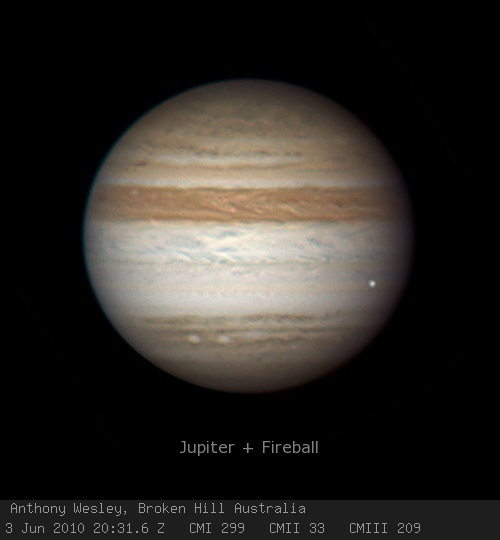 This bright flash is thought to be the fireball of an impacting meteor in Jupiter's upper atmosphere. Since the impact, both astronomers have posted videos and processed images online showing this flash. Wesley's images and video have been posted to his website. The link to his video is at the bottom of the page. Note that his video is an AVI container and you may have issues viewing it in Windows Media Player. It played just fine in VLC. Additional news from Wesley going forward maybe posted on the Ice in Space forum first. Christopher Go has posted processed images and video on his website. The question now is whether this impact left a dark scar like the Shoemaker-Levy 9 impacts in 1994 and the July 2009 asteroid impact. Gary Spiers posted times when the impact site cross the central meridian as viewed from Earth on his blog. The first opportunity at 5:04 UTC was imaged in western and southern Europe by several observers. While the seeing wasn't as good as what those further south like Wesley and Go obtained the previous Jovian day, they don't seem to show any sign of an impact scar. A summary by John Rogers of the British Astronomical Association has been posted on ALPO-Japan with several "after" images from the UK, France, and Italy. 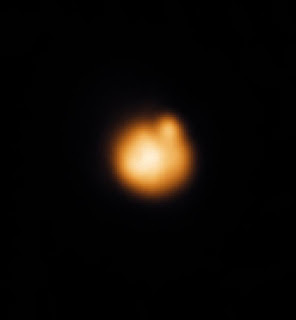 The next opportunity at 15:00 UTC was observed by several observatories on Mauna Kea in Hawaii (Gemini, Keck, and IRTF), according to Leigh Fletcher (who was involved in the followup observations at Mauna Kea after last year's impact) on Twitter. No results have been posted yet, so hopefully their keener eyes will be able to spot a small impact scar. Today, a new paper was published "in press" (accepted and revised, but not yet in a paper issue) in the journal Icarus titled, "Ground-based observations of time-variability in multiple active volcanoes on Io" by Julie Rathbun and John Spencer. 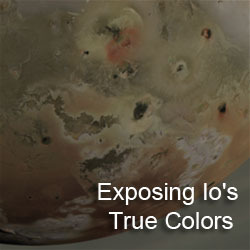 In this paper, the two authors summarize the results they obtained by observing Io using NASA's Infrared Telescope Facility on more than 100 occasions between June 1997 and the end of 2005. They focus on variations in the thermal output of three volcanoes: Loki, Kanehekili, and Janus, as well as output from smaller volcanic centers like Grian Patera. For their analysis, Rathbun and Spencer observed Io in the near-infrared at 2.26, 3.5, and 4.68 microns both in disk-resolved images while Io was in Jupiter's shadow and in sunlight. An example of an image taken while Io was in sunlight is shown at left. 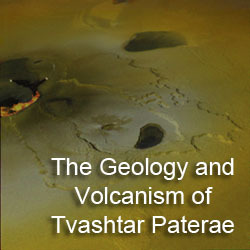 It was taken in November 1999 when the volcano Tvashtar Paterae erupted (seen much closer up by Galileo). In both cases (in eclipse and in sunlight), the spatial resolution of the observation is generally too low to pick up any but the brightest hotspots. 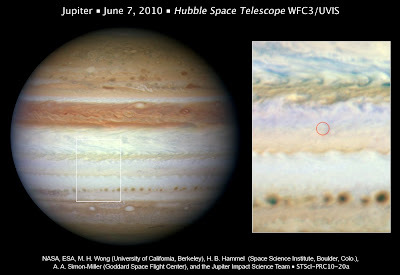 The authors also measured the brightness at 3.5 microns of an eclipsed Io as it passed behind the dark limb of Jupiter. By noting the times when dips in the occultation light curve occurred, caused by Jupiter occulting a volcanic hotspot, the authors were able to constrain the location and intensity of an erupting volcano. Unfortunately, these would be one-dimensional fits of Jupiter's limb projected on the surface of Io. 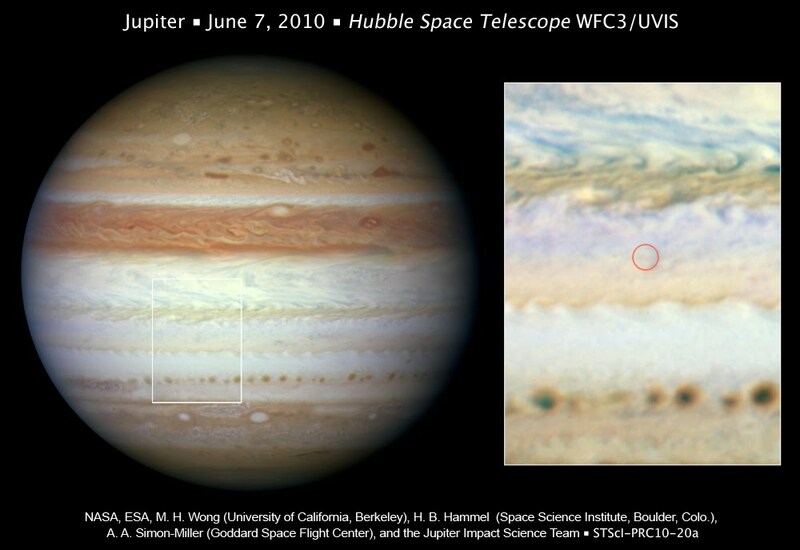 This method is also limited to finding hotspots on Io's Jupiter-facing hemisphere. Three of the most persistent hotspots on the sub-Jupiter hemisphere are Loki, Kanehekili, and Janus. Rathbun and Spencer used their eight-year span of ground-based observations to chart variations in the amount of energy (in terms of Gigawatts) output by these volcanoes. 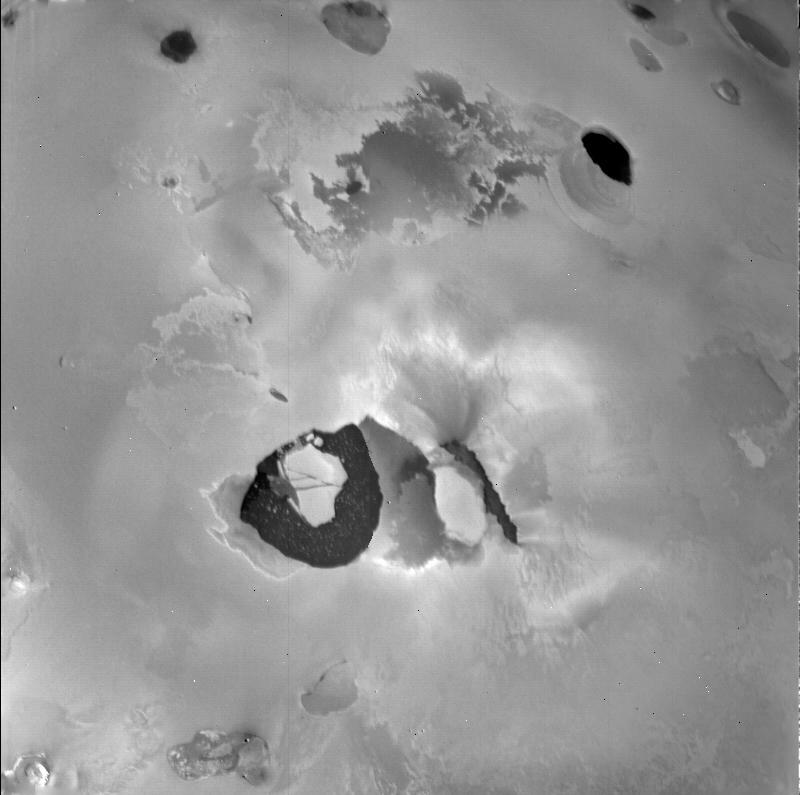 Loki, Io's most powerful volcano, experienced periodic increases in power output between 1990 and 2001. In 2002, Rathbun and her colleagues suggested that this periodicity was due to a crust over a large lava lake foundering after becoming too thick, starting a wave of overturning crust that spreads counter-clockwise around the patera starting from the southwest corner of the volcano. However, the authors note in this paper that this pattern ended after 2001 (around the time Rathbun published her paper describing the periodicity) as Loki's power output leveled out in 2001-2002 a bit below the average between the earlier active and inactive episodes, before weakening between 2005 and 2007. Their extended history of Loki observations suggests that there have been no brightening events since 2001. 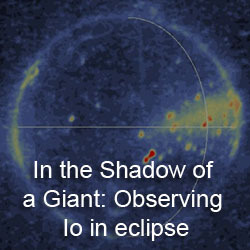 The authors concluded that the measured brightness of Loki at 3.5 microns, and the derived brightness at 2.26 and 4.68 microns (taken by subtracting the total power output of Io in eclipse when Loki is shown by the occultation data to be inactive from the power output of Io when Loki is active) is consistent with the author's thermal model of Loki. Kanehekili and Janus are two volcanoes on Io's leading hemisphere located within Media Regio. Ground-based observations by Rathbun and Spencer were unable to distinguish activity between these volcanoes are their proximity and Galileo observations of both of them as persistently-active volcanoes. The authors found that the 3.5 micron brightness of the region containing Janus and Kanehekili remained fairly consistent between 1996 and 1998 at a level similar to that of Loki in 2003 and 2004, before trending downward. A significant increase was observed early in 2002, though the authors couldn't distinguish between an increase in activity at either volcano, or another volcano at that longitude. I will point out that Marchis et al. 2005 observed a fairly bright hotspot at Janus in December 2001 using the Keck telescope, a few months prior to the Rathtbun and Spencer observations, and a very powerful eruption at Janus in January 2003. Combined with the observations of variations in the brightness of Janus and Kanehekili at shorter wavelengths by Galileo SSI and NIMS noted by Rathbun and Spencer, this indicates that the high-temperature component of the eruptions at these two volcanoes can vary greatly, even if the lower-temperature one stays comparatively consistent. Finally, the authors examined shorter-lived volcanic eruptions from other sources they found in their data. These sources show significant variations in 3.5 micron brightness from near the background brightness to some of the brightest events seen in their decade of observing, such as an eruption of Grian Patera in June 1999. The observed variations are consistent with non-persistent volcanic activity creating fresh, cooling lava that emits light in the near-infrared. The authors noted weaker variations were observed in the mid-infrared by the PPR instrument on Galileo, which was sensitive to cooler, older lava flows. 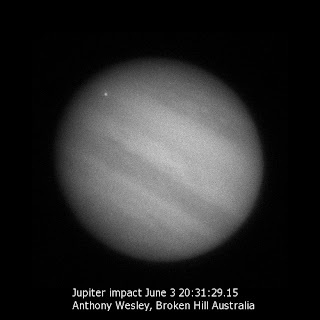 Less than a year after he first spotted an impact scar on Jupiter's south polar region, astronomer Anthony Wesley spotted a bright flash at 20:30 UTC today (about three hours ago from the time of this post) that lasted about 2 seconds in Jupiter's faded south equatorial belt. The brightness of the flash indicates that it was mostly likely caused by a small asteroid or comet striking Jupiter's upper atmosphere and burning up. Wesley indicates that don't seem to be any markings left by the impact, like those seen after the SL9 impacts in 1994 and last July's impact, though it occurred late in the day at the impact site, and we may not see anything until the area rotates into view three hours from now. The original thread where Wesley posted this image is located at the Ice in Space web forum. He plans to post a video of the impact in the next few hours as well. I want to give a tip o' the hat to Emily Lakdawalla for alerting us to this observation on her blog. Coincidentally, she points out that the Hubble telescope team has released several images of the site of last year's impact, as the scar became sheared by the planets's winds. Another place to check for up-to-date news on this is at the Unmannedspaceflight.com forum, where several regulars are already discussing the impact. UPDATE 5:18 PM MST: A video by Christopher Go in the Philippines is now online. Didn't seem to last very long.